One year ago, the Debian Administrator’s Handbook came to life as a translation from the French book “Cahier de l’Admin Debian” (published by Eyrolles). With the support of hundreds of persons, we also managed to publish it under a free license so that it could find its way into Debian proper. Having done that, we were left in the odd situation where we had a free translation of a proprietary book. Now, together with Eyrolles, we have setup a new project to publish the French book under a free license and contribute it back to the Debian Administrator’s Handbook as the official French translation. The French book played a major role in my life and I would love to see it published under a free license (GPL-2+ / CC-BY-SA 3.0 just like the English book) and to give it the bright future that it deserves. 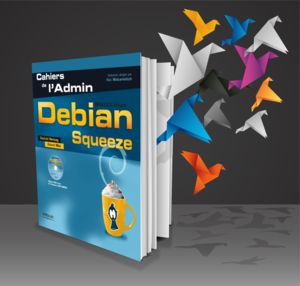 The Debian Administrator’s Handbook wouldn’t exist without the original book… so please consider supporting this project. This last step is an important one for me, I count on you.